Being a work-from-home loan officer is a popular option for women who love the demanding pace of the business world, but desire the flexibility of the home-office. A work-from-home Loan Officer in a great way to merge the two worlds together. There are many different specializations in the Loan Officer field. They are found working with auto loans, home mortgage loans, commercial business loans and more. Anywhere large sums of money are exchanged, there is often a need for a loan officer to help make it possible. It is part of your job as a loan officer to evaluate the backgrounds of the loan applicants. You must gather enough information to decide if the loan candidate is a good risk and likely to pay back the money borrowed. Once this information is collected, you will either approve the loan yourself, or, depending on your employer, submit the information to your loan committee for approval. You will need to be ready to defend your choice if necessary. Another part of the job of a loan officer is convincing people to seek their loans through you. This usually means making connections with car salesmen, loan-seeking businesses, and real-estate agents, all in the hopes of having them send business your way. Many loan officers begin their career with degrees in finance, business or other applicable studies. There are many classes and some certifications available to improve a newcomer's chance of securing a loan officer position. One such option is the American Banker's Association Certificate in Loan Review. Officer's without degrees or certifications often attain their position from many years spent working in financial services or sales. When you're just starting out, any way that you can pad your resume to make yourself more desirable is good. Take extra computer and finance classes to separate yourself from the pack in the hiring game. Don't be worried if you need to work in a related field, such as bank officer or teller, for a year or so, to gain needed experience. It will be laying the groundwork for bigger achievements. Though most loan officers work at banks and other lending institutions, a growing number are employed in a home-based operation. They are still representatives of the larger organization, but are allowed to carry out the bulk of their work from a home office. This is the position a work-at-home mother wants to hold. In these cases, the loan office usually trains you, the officer, in their particular system and regulations, and then supplies the at-home-office with everything needed to do your job. You still might be required to do a lot of travel, however, visiting the people and businesses you are helping to secure loans. But the majority of your work can be done in your own home. Payment varies in the loan officer field. 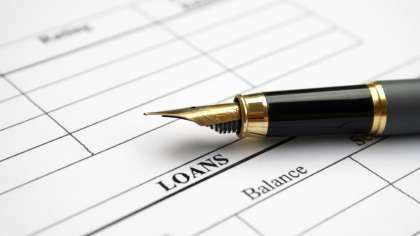 Some loan officers are salaried, and some receive a commission on the loans they secure. Make sure you are aware of how you will be compensated, and that you are satisfied with the method. The main way to market yourself as a loan officer is through networking. Most people are going to need a loan or three in their lives, and they will be happy to have a trusted acquaintance be their intercessor. Keep business cards on you at all time and be ready to produce them whenever the conversation permits. Forge relationships with real estate agents, mortgage brokers and loan processors. Your profits are all interdependent on each other. The position of work-at-home loan officer is not necessarily as relaxed a pace as other at-home businesses. But, the rewards can be as impressive as the effort expended. A work-at-home-loan officer is a great choice for the woman with a fierce work ethic and competitive spirit.